Truly short term leases can be hard to come by, with the minimum typically being about three years. This could be too long for a lot of start ups, who need just a small space and short term to give themselves flexibility – but even if they do find such a lease, it often comes with strings attached. It takes some serious effort to find landlords willing to consider a year-long lease or month-by-month rent, and when a small business does find a willing landlord, they trade off this benefit for any leverage they might have had in negotiations. This could result in anything from paying higher rent per square foot to losing tenant improvement allowances. However, it is possible to find a good short term lease deal, and one of the best ways to expedite this process is to work with a good real estate broker and have an attorney assist your business in lease negotiations. Do you have the right to sublease some or all of the space? How soon do you need to notify the landlord about exercising this right, and in what way should they be informed (i.e. certified mail or just an email)? Will you still be fully responsible for enforcing lease terms if you sublease to another tenant? This is important – if you are still on the hook for the lease even if you are no longer in the space, you need to chose the new tenant wisely. Another possibility is to ask for the option to assign the lease to a new tenant entirely if you can no longer afford the space. In this event, all of the rights and responsibilities of the lease would be transferred to the new party. Negotiating for one of these clauses could be mutually beneficial for both you and the landlord if it means you will sign a longer lease. The landlord will be happy because of a longer period of assured rent, and you will have the flexibility of keeping the space or a backdoor if you need it. Start the process early. Don’t wait until three months before the end of your lease; you should ideally start thinking about it nine months early. Determine if you want to stay. Take that time to think about whether it is best for your business to stay or look elsewhere. If you do not foresee major growth, downsizing or a need for a different location anytime soon, then renewing your lease might be your best and cheapest option. Research the market. Do your homework on what other spaces are available in your area and what rates, privileges and other concessions they might be offering. This will give you more leverage in negotiations with landlords, both because you will have a basis of comparison, and because both you and the landlord know you have other options out there if the new terms are unfavorable. Decide whether to hire a broker. The lease renewal process is one stage where you could forego a broker because you know the landlord and the space very well by this point. However, hiring a broker could communicate to the landlord that you are serious about negotiating for some big concessions. Negotiate. You know the space, so you can talk nitty gritty details of what you want improved or what concessions you need. Be aggressive, but friendly, and remember that ultimately it’s cheaper for both of you if you renew the lease, so look for compromises and common ground. The key to having the option to extend is to negotiate for it in your original lease and to be aware of the right time to exercise it. Lease length does not have to be a death sentence for start ups trying to rent office space in Overland Park, but navigating this aspect of leasing does require a little more effort and research. Know your options, and don’t let yourself be backed into signing an unfavorable lease. 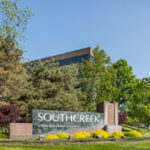 If your business is interested in commercial office space for rent in Overland Park, KS, give one of our commercial real estate brokers a call at 913-685-4100 for more information about our office space for rent in Overland Park.